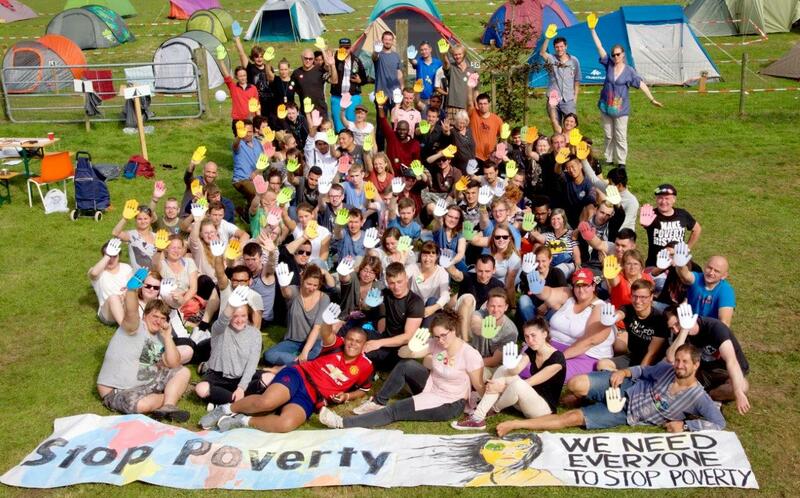 An Irish delegation joined the “Youth Rise Up Against Poverty” gathering in the Netherlands! 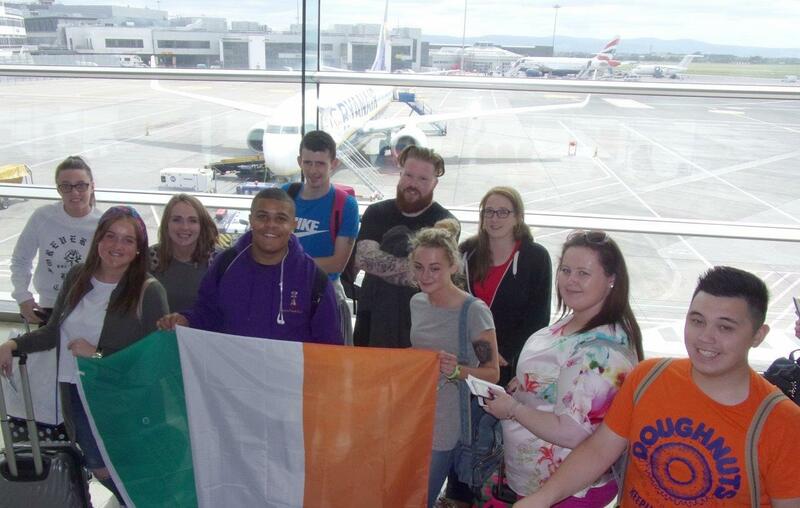 From 10 to 14th August, a youth delegation prepared by NYP2, the Cork Life Centre and ATD Ireland was on the move. 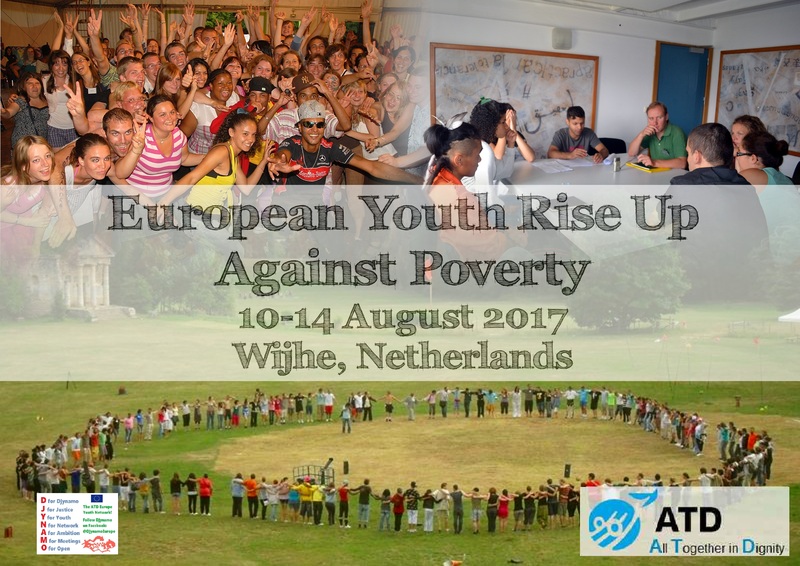 The delegation travelled to Wijhe in the Netherlands to take part in the European Youth Rise Up Against Poverty gathering. The experience was educational and inspirational for all involved. 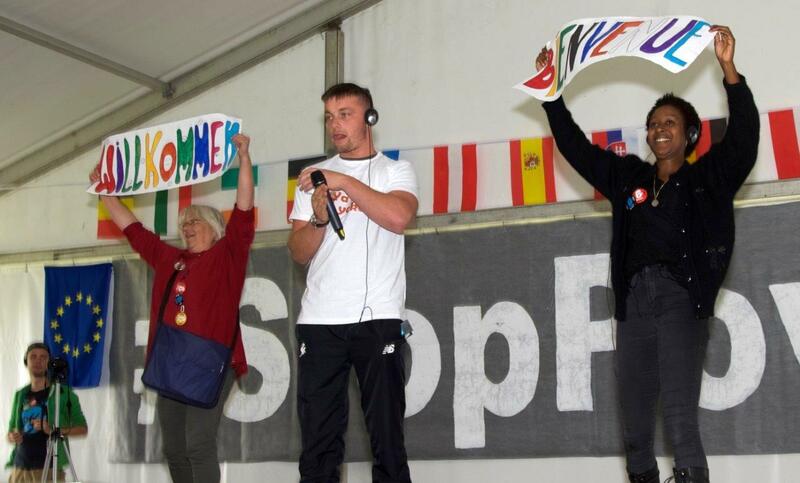 Youth groups from eight European countries were represented at the gathering. Three members of our delegation travelled to Wijhe four days early to assist in the preparation week where their duties ranged from cooking and cleaning to pitching military tents. We were very proud of Gavin Uzel who was handed the responsibility of officially welcoming all participating groups to Wijhe during the opening ceremony. Over the course of the three day event the Irish delegation participated in a range of interesting creative workshops and discussions. Furthermore the delegation facilitated two workshops. On three occasions we ran an Introduction to GAA workshop which aimed at giving an introduction to Gaelic Football and Hurling while also highlighting the importance of the cultural and community dynamic within the GAA. This workshop was a lot of fun and hilariously brought out the competitive side of many participants. 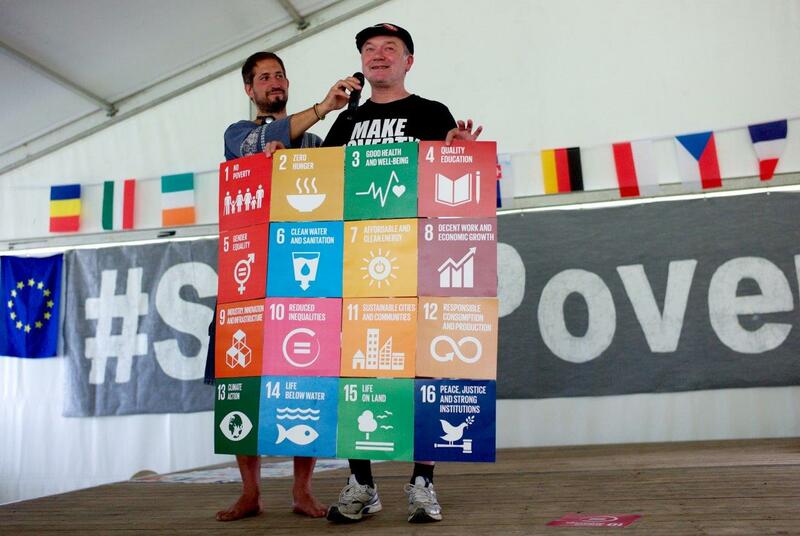 The LeaveNoOne behind workshop was also a lot of fun and very successful in highlighting the 17 UN global goals for 2030 while also discussing what it really means to leave no one behind. 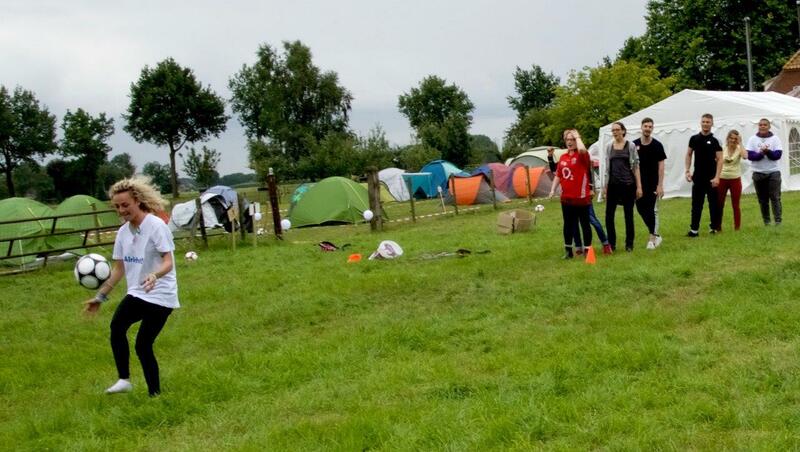 From August 10th 2017 to the 14th, 15 young adults from Ireland met 200 young Europeans involved in the fight against poverty. The young people gathered in Wijhe (The Netherlands) at the occasion of the UN International Youth Day (every 12th August). 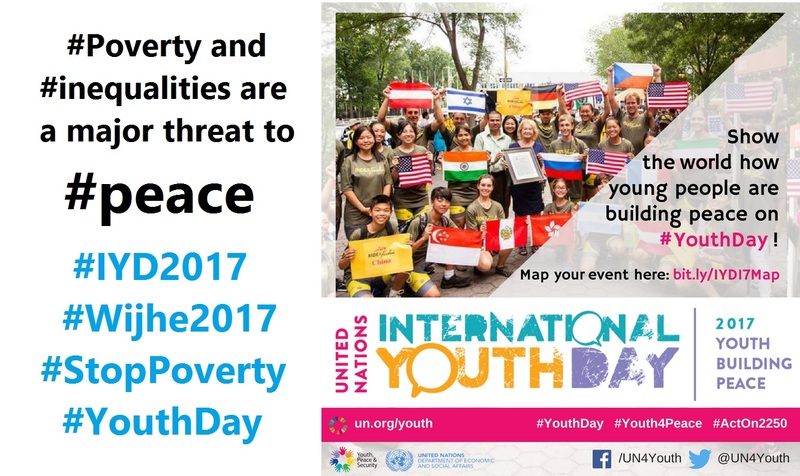 In 2017, the call of #YouthDay expected the Youth to be Peace Builders. All major international stakeholders agree that poverty and inequalities are two of the major threats to peace. This message was central in the #Wijhe2017 gathering. 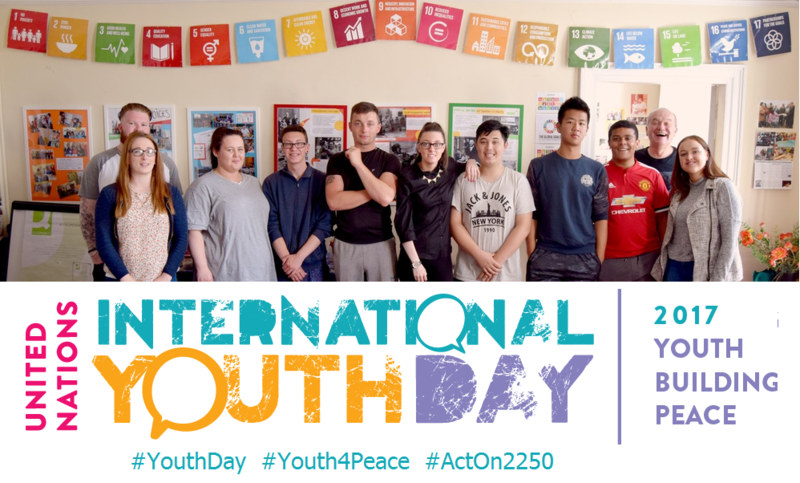 A #Youth4Peace has also to be a #Youth4Justice! 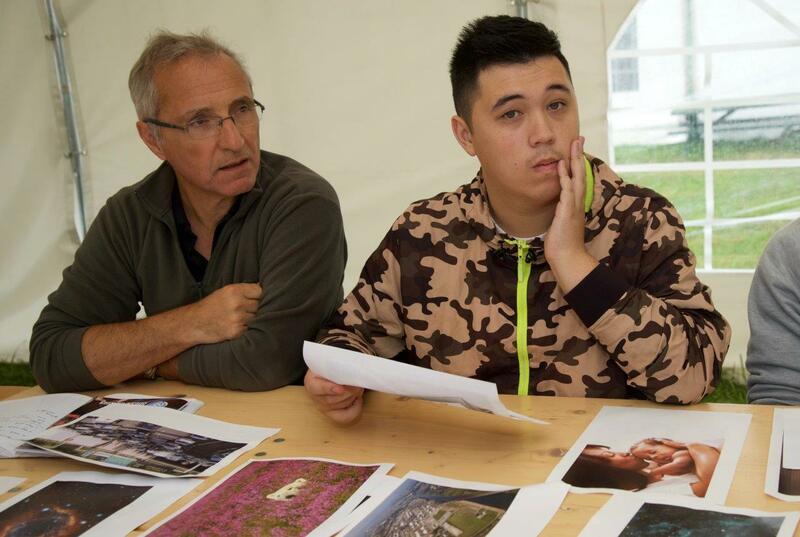 Hence workshops were organized and facilitated by the young people from diverse backgrounds, and aimed to have a mutual sharing of their knowledge and experience. Discover here the video prepared in 2016 by Irish young people with others, ahead of the #Wijhe2017 gathering!